The Nedo Surveyors Grade Wooden Tripod is built for superior durability and sturdiness with its high-quality European hardwood construction. Coated with high-tech plastic material, its wooden parts are sealed against moisture to resist swelling, shrinking, and splintering. Its hardware parts have powder coating to ensure long-lasting performance. It also comes with brass hinge pins for extra stability. This professional-grade wooden tripod by Nedo provides extendable working elevation ranging from 40 inches up to 65 inches. It is equipped with locking mechanism that allows fast, steady set-up and easy height adjustment. Choose from quick-release clamps, screw clamps, dual clamps (quick-release and screw), and Click-It system to suit any construction and surveying application. 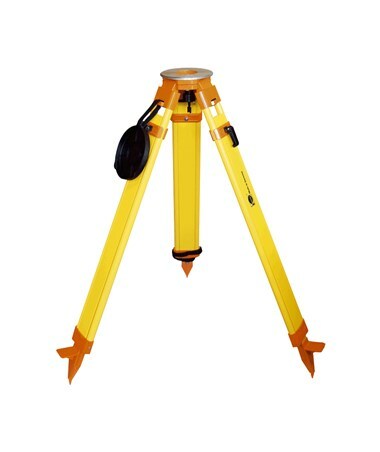 Designed for securely mounting digital and optical levels, total stations, and theodolites, the Nedo Surveyors Grade Wooden Tripod features a 6.5-inch diameter head with 5/8-11 threading. Its aluminum feet with replaceable steel points offer excellent grip and maintain solid support even on rugged terrains. For convenient storage and safe transport, it includes a carrying strap and a snap cap for tripod head protection. 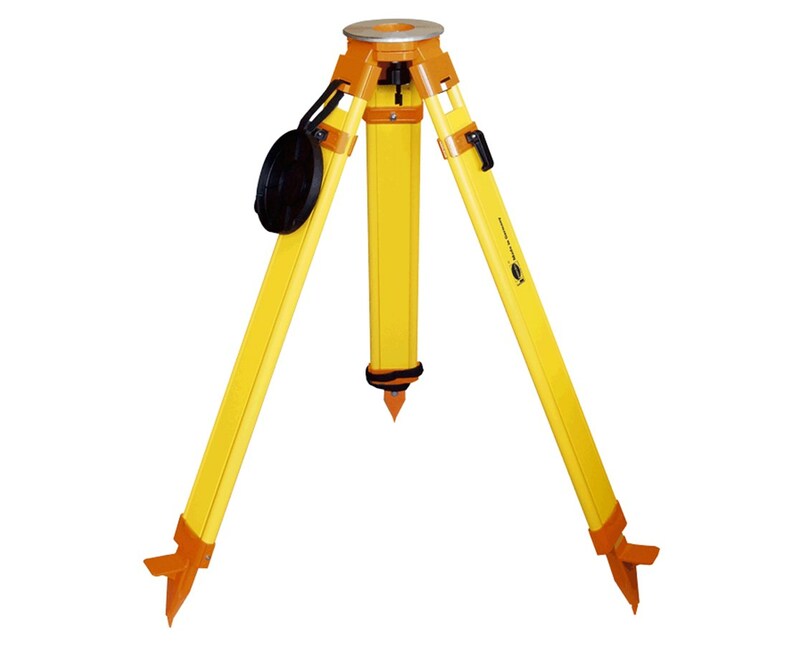 The Nedo Surveyors Grade Wooden Tripod is available with four different locking mechanism types. Please select your preference from the menu above.